Guest post by John H. Zenger, co-author of The Extraordinary Leader. The consequences of making optimum choices apply to every organization, including our own. During my tenure as the CEO of a previous learning and development company, I thought the optimum goal for the organization was to help our clients – newly appointed leaders become sufficiently knowledgeable and skilled to adequately handle their new positions. It seemed right at the time, and we successfully helped many organizations. With hindsight, however, I now realize that an even better goal would have been to greatly elevate my sights and focus on the target of helping all leaders to behave like the top ten percent of leaders in their organization. 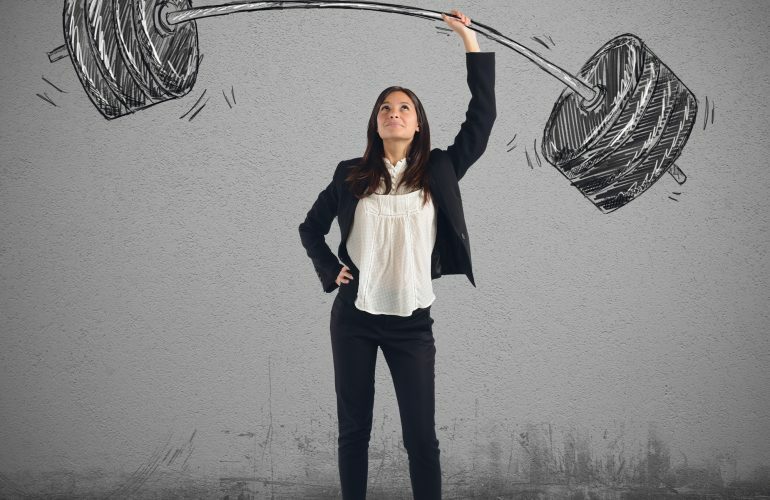 There has been a great deal of talk in the world of organizational psychology about moving our emphasis in leadership development away from our being riveted on fixing weaknesses to a more positive balance that emphasizes acquiring strengths. I’m going on record to report that this has been a really tough fight. With many leadership groups, no matter how much encouragement we give them to work on strengths, when push comes to shove, there seems to be an insatiable urge for leaders to focus on fixing a weakness. First of all, the fact that they are doing something is clearly better than them doing nothing, so we hate to be too discouraging of their choice to work on weaknesses. Second, we have good data that shows that people who work on weaknesses actually get better in an overall way. Third, some people possess glaring weaknesses that need to be addressed, or everything else they do will be in vain. There clearly are times when working on a weakness is the correct choice. But this is not the optimum choice in the great majority of instances. Focusing on weaknesses will help leaders to be less bad. Just as clinical psychology had been helping people to be less mentally ill, we too can help people to be not quite as bad. But no matter how hard you work on curing a weakness it seldom has the same effect as working on a strength. Because you are basically going to get to ground level and that is not what constitutes being a great leader. Our research has clearly shown that the possession of a small number of signature strengths defines an extraordinary leader. Only by working on the positive side of the equation is there a high likelihood of making a really positive impact on those about you. Our data confirms that while those who worked on weaknesses did indeed get better, those who worked on strengths had three times as much success. And this says nothing of the fact that working on strengths has to be a lot more fun and rewarding than working on something on which you are basically somewhere between being wretched to not very competent. And, while discovering strengths has been a topic of much discussion, the trick isn’t simply to identify those strengths – it’s to learn how to build on them. In The Extraordinary Leader, my colleague, Joe Folkman, and I identified 16 key competencies that are found among the top 10% of all leaders. The good news for leaders everywhere is that truly extraordinary leaders only have strengths in 3 or 4 of these 16 key areas – meaning anyone with even a handful of strengths can really impact an organization. We’ve found that leaders who focus their development on one or two companion behaviors within a specific competency can build on their strengths tremendously – making them truly extraordinary leaders. Organizations should help leaders develop their strengths and that the way to build a strengths is different from fixing a weakness. The good news is that it’s almost always more fun, more rewarding and most importantly, more successful. John H. Zenger is the cofounder of the executive education firm Zenger|Folkman. Coauthor of the bestselling books The Extraordinary Leader and The Inspiring Leader, he was inducted into the Human Resources Development Hall of Fame in 1994 and received the Thought Leader Award from his industry colleagues in 2005.